After a very busy weekend, I am unprepared for this week! 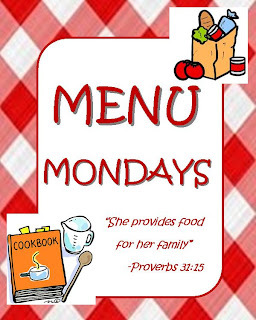 I will have to go to the grocery store tomorrow afternoon to get most of the things for the week. Here is what I have on the schedule right now! Friday- Unsure yet, I think Gregg has plans to go fishing that night so it will probably just be leftovers!! I decided to keep the Link open until Friday to give more people an opportunity to add theirs! Have a great week!! 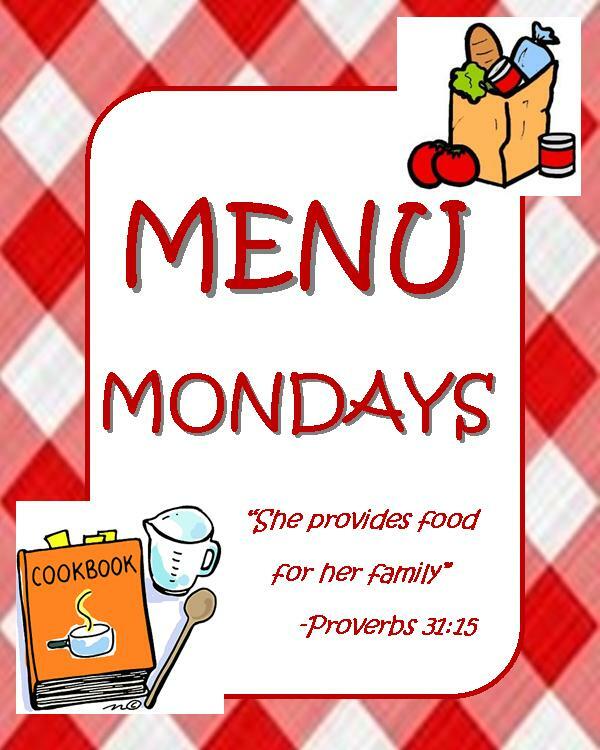 LOVE the Menu Mondays posts! I don't blog, therefore I won't be adding to it, but I love coming and getting ideas from you! Would you mind sharing the recipe for the Chicken Bacon Cheese Casserole? Sounds YUMMY!! That is so funny. I was going to say the exact same thing as Dana. I too do not blog but I check yours all the time. Please share the recipe, it sounds yummy! I go to church with Adam and Heather. I love reading your blog. I tried you Chicken Bacon Casserole last night! It was a total Hit! Thanks for sharing the recipe!! !